Overcharge: Deals extra damage against Divine enemies. When equipped on Karna, Increase Quick Card, Arts Card, & Buster Card performance of all allies by 8% while on the field. The great hero of the Mahabharata, an epic, ancient Indian poem. He is the rival of Arjuna, the main hero of Mahabharata, and his half brother. By the time Karna faced his half-brother he was unable to move due to multiple layers of curses, and Arjuna took advantage and murdered him in cold blood. He can also be summoned as an Archer or Rider. Karna was born of Kunti, a human girl, and Surya, the God of Sun. After Karna's birth, he was abandoned by his mother Kunti. He was adopted by a coachman, and raised as the man's own son. 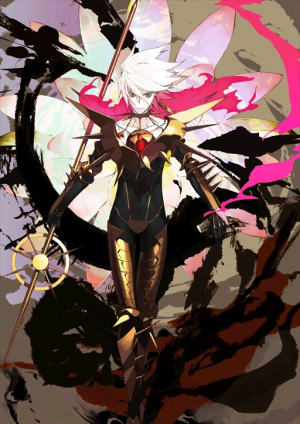 However, Karna's potential and heroism could not remain hidden. After Kunti abandoned Karna, she gave birth to the five brothers of the royal Pandu family. The third brother, Arjuna, would grow up to be Karna's rival. 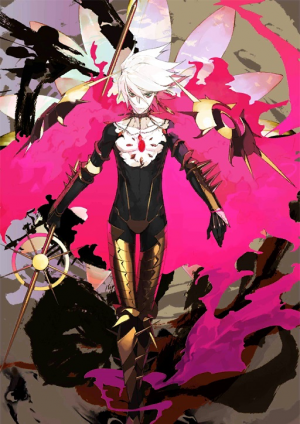 Karna was later adopted into the Kuru family, the rival of the Pandu family. There were many curses and obstacles that Karna had to face before battling Arjuna. And by his mother's wish, he could not fight anyone other than Arjuna. According to the legend, Karna gave his golden armor to Indra. 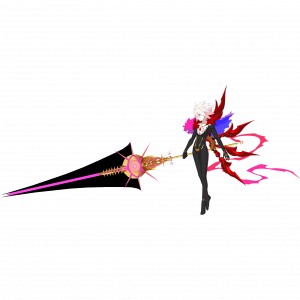 In exchange for giving up and dismantling his armor, Karna received a lance powerful enough to slay even gods. It is said this lance of light cannot be wielded by even the King of Gods. 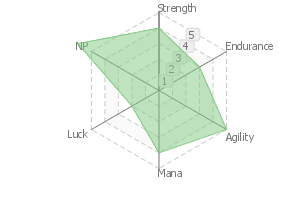 When this lance is clad with crimson blood, one strike, just one strike, is said to be able to cleanse all impurities. 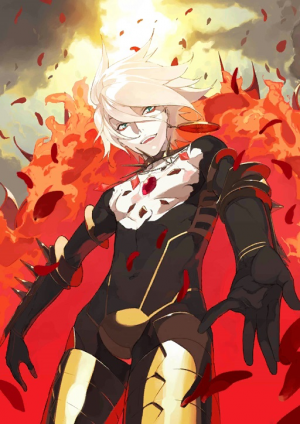 Karna accepts everything as "it happens," and is a Servant who's extremely generous. He treats everyone equally, and respects everyone equally. 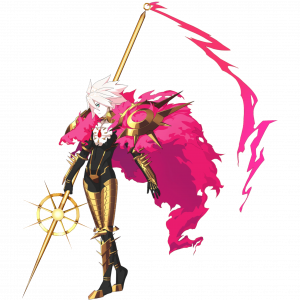 Although it was never publicly acknowledged due to prejudice, Karna's caliber as a martial artist and dignity as a person can be ranked one of the highest amongst all Servants. Although it's quite impossible, if you are in a contract with this Servant and still can't win, then either you are not fit for combat, or you have issues handling elites. A great hero from the ancient epic poem from India, "Mahabharata". The rival of Arjuna, the central hero of the Mahabharata, as well as his half-brother by a different father. Upon becoming unable to move due to many curses, he was brought down by Arjuna in a manner similar to deliberate murder. Karna is a demigod hero born from the human girl Kunti and the Sun God Surya. However, right after being born, he was abandoned by Kunti and raised as the son of a coachman. Still, his attributes as a hero are not the kind of thing that can remain hidden. After casting away Karna, his mother Kunti gave birth to the five sons of the Pandu royal house. The third among them is Arjuna, someone who would become a lifelong rival for Karna. Upon growing old, Karna became an adopted child of the Kuru House that was antagonic to the Pandu House. However, there were too many curses and obstacles before Karna could fight Arjuna. Receiving a curse from Brahman, deceived by Indra, forced to swear to not fight anyone other than Arjuna in response to the appeal of his mother Kunti; but even still Karna accepted everything. From the anecdotes of handing over his armor to Indra, Karna is entrusted to a god-slaying spear by dismantling, tearing up and discarding the golden armor. A spear of light that even the king of gods was not able to handle properly. The single strike released by peeling off his whole body and being dyed in blood purges all sorts of impurities. 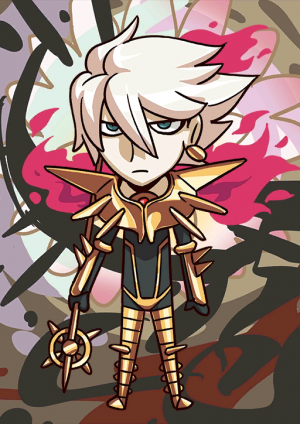 Karna is a highly tolerant Servant who accept all matters as "that is also valid". He is impartial to all people and, also, honors all people as "their own respective flowers". 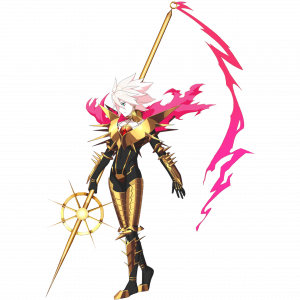 Possessing martial prowess and noble mentality there were never openly recognized due to many prejudices, Karna contends for highest place among all Servants even on the matter of character. 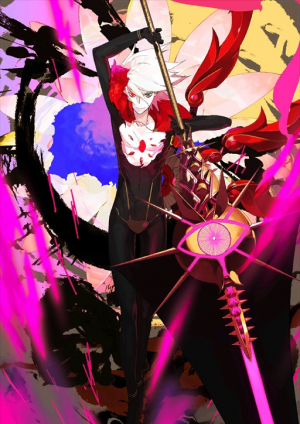 Karna was available for summoning temporarily during the Happy New Year 2016 Event and AnimeJapan 2016 Exhibition Commemoration Campaign. With the release of E Pluribus Unum, he was permanently added to the summoning pool. Before E Pluribus Unum Release Campaign Karna and Arjuna were Limited Servants. This page was last modified on 25 December 2018, at 19:31.